Markets immobile at the moment; Nem making moves, XRP and Tezos falling back. There has been little movement on crypto markets over the past 24 hours. Total capitalization has dropped a little and red is seeping into the crypto charts. The majority of altcoins have declined a little over night but one or two are still making gains. Bitcoin is really struggling to break out of its channel and is still sitting at $6,600. BTC needs to break through resistance at $6,800 to show any kind of solid upwards momentum. Ethereum has not moved much at all over the past few days and is still very weak, floating around the $230 level. Altcoins in the top ten are pretty much all in the red according to Coinmarketcap at the moment. Only Bitcoin Cash is showing a small gain of 1.5% to trade at $544and most of the others are flat with less than a percentage movement in either direction. Ripple’s Swell event has not provided any positive momentum for XRP which has actually fallen back 3.6% on the day to $0.568. Further down the list the top twenty is not showing a lot of change either. The only remarkable altcoin at the moment is Nem which has made a solid gain of 7.5% overnight to trade at $0.104. 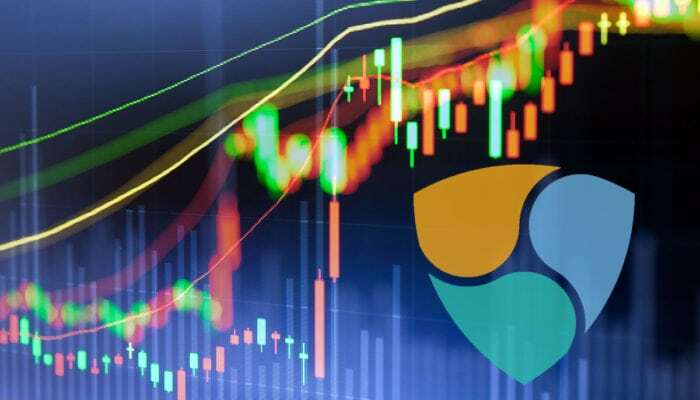 Trade volume has over doubled from $8 to $17 million and Nem has been lifted to a one month high. Since last Tuesday Nem has made 12% as the team hosts a number of events and community meetups across the globe while continuing with expansion efforts. Tezos is having the worst time at the moment with a 5.3% drop to $1.36. Zcash and Bitcoin Gold are not far behind. Today’s top one hundred pump goes to FunFair up 11%, followed by Dentacoin climbing 7.5%. Getting dumped at the red end of the scale is ReddCoin shedding 13% and Mixin dropping 9% on the day. Total crypto market capitalization has fallen slightly on the day to $222 billion, just under a percentage lower than yesterday’s level. Daily volume has also fallen a little and is now at $14 billion. On the week however markets are up 5% from their levels this time last Tuesday and the trend is holding. Bitcoin dominance continues to drop back as it fails to gain any traction; it is now at 51.4%.